YOU MUST ENTER �COST AND RECIVE QUANTITY ON EACH LINE. the voucher which in turn cancels the receipts of parts. This allows the user to begin over if a mistake is realized. 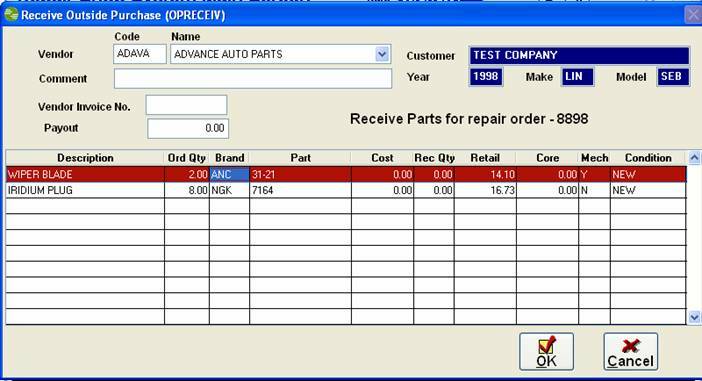 number other than what was ordered, simply change the brand code or part number to reflect what is on vendor bill. the payout amount will be calculated. 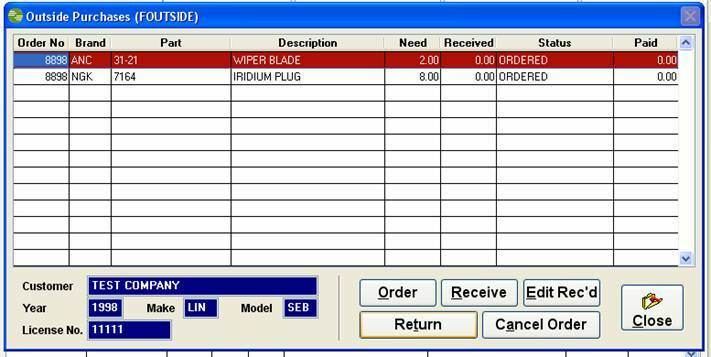 to receive 0 which would create a new line item for 8 plugs to order from another vendor.